Mike Jackson AutoNation Tribute | Cox Automotive Inc.
On behalf of the Cox Automotive family, congratulations on your induction into the Automotive Hall of Fame. Cox Automotive is proud to recognize client partner, Mike Jackson, CEO of AutoNation (NYSE: AN), on his induction into the Automotive Hall of Fame. Mr. Jackson is one of the great business strategists of our time, building AutoNation into a Fortune 500 powerhouse, the largest auto retailer in the United States. Mr. Jackson has earned widespread acclaim for his revolutionary and disruptive influence in automotive retailing. His nearly 20-year tenure as CEO has meant staying ahead of economic downturns, sowing seeds for the future, and monitoring the pulse of consumer trends and technological advances, and he has delivered growth in an era of uncertainty and change. Over the years, we’ve witnessed firsthand his uncanny ability to cast a vision, motivate employees, and lead innovation in the company – skills that his business partners, customers, employees and investors also herald as his greatest strengths. Mr. Jackson has also long demonstrated his deep commitment to doing the right thing for the right reasons, regardless of the circumstances. His words, actions, decisions, and methodologies have helped shape AutoNation’s strong culture of integrity. From the beginning, Mr. Jackson set the tone at the top, modeling the accountability and ethical behavior that pervades the company’s workforce and practices. Stakeholders all point to AutoNation’s consistency in treating people fairly, with openness, honesty, and unwavering integrity. The media regularly looks to Mr. Jackson for his perspective on economic developments and societal trends for the automotive industry – and beyond. His insights are prescient, accurately predicting the future. That’s because he immerses himself in data, instilling a collective desire to be informed and forward-thinking throughout his organization. 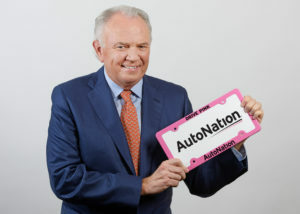 His brilliance, enabled by analytics, helps him position AutoNation on the cutting edge and ahead of the curve. Industry observers marvel at Mr. Jackson’s ability to pivot the company in advance of others. His leadership style is unafraid to question assumptions, rethink conclusions, or break the mold, and Cox Automotive has been honored to hear his insights as a featured guest speaker at many of our own events. Mr. Jackson is also a leader in giving, and at AutoNation, philanthropy starts within. The company continued to pay employees at locations shuttered by hurricanes, and AutoNation used the proceeds of a corporate tax cut to enhance employee benefits including doubling its matching contributions to employees’ 401(k) plans and launching a cancer benefits program for employees diagnosed with the disease. Its dedication to cancer care is reflected in its corporate sponsorship of the AutoNation Cure Bowl. This annual football game, a match-up between the American Athletic Conference and the Sun Belt Conference, is nationally televised, with the proceeds going to the Breast Cancer Research Foundation. 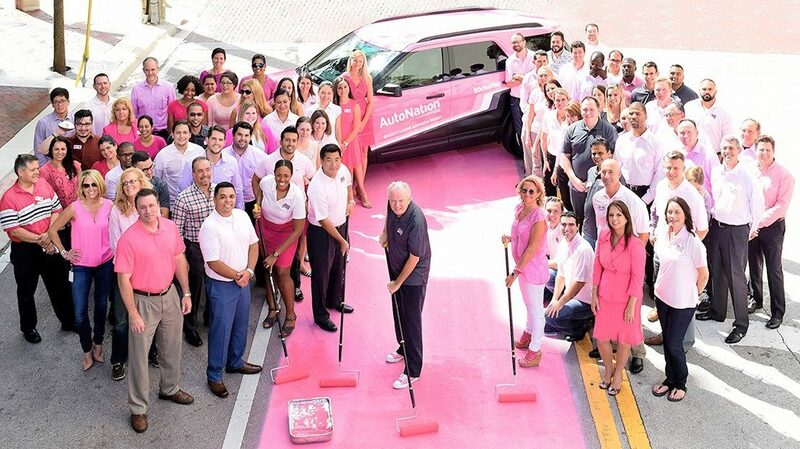 AutoNation’s accompanying Drive Pink campaign in stores generates additional customer support. Mr. Jackson, you are a leader, an innovator and philanthropist, and you have shown resilience and staying power that stands out as an example to every entrepreneur. Congratulations! The Cox Automotive team celebrates your induction into the Automotive Hall of Fame. Sign up to receive updates with the latest car buyer insights, automotive trends and operational best practices.